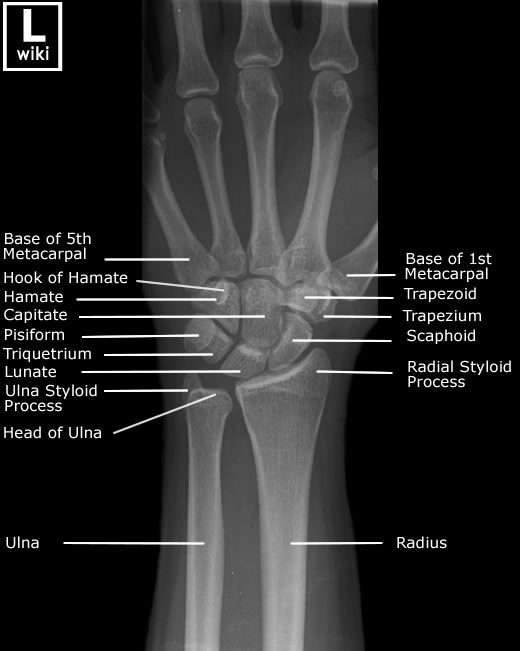 Frontal Radiograph of the Wrist with Labels. Oblique radiograph of the Wrist with Labels. 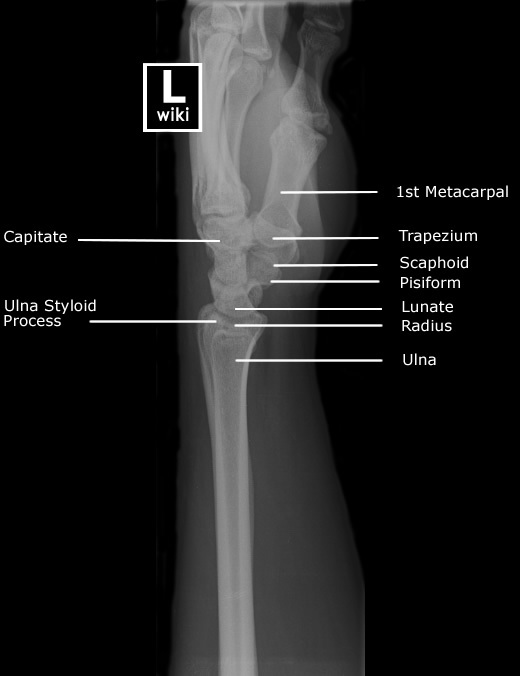 Lateral Radiograph of the Wrist with Labels. 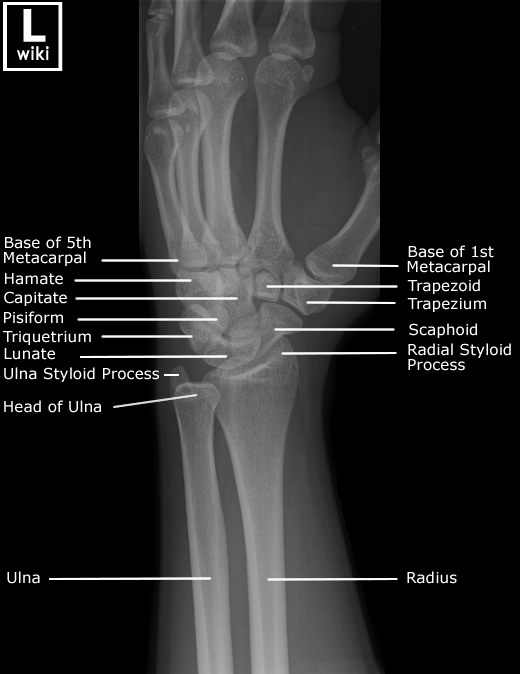 Radiographic anatomy of the wrist.